Comments: Earth-Kind Roses are those that have undergone testing, particularly at the land grant college experiment stations, to ascertain which can live with little or no care once they have been planted. Earth-Kind plants are place in trial gardens and only given water enough for them to become established. After this, no further care is give except for pruning to keep them in the alloted space. No spraying for insect and disease pest, no weed control chemicals are applied, no irrigation and no fertilization is give the plants. They have to live without human help and their care must contributing to adding any pollutiants to our environment. There have have been a number of selecions made at this time, but the trials are on goinging at many locations in the South. 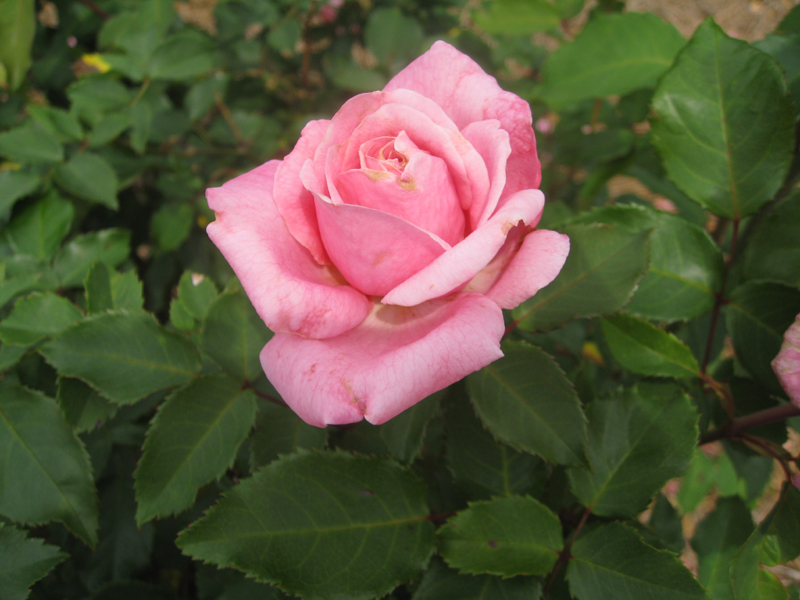 Once a variety has been tested and deemed worthy, it thyen can be designated an Earth-Kind Rose.